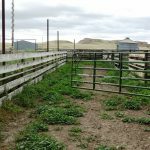 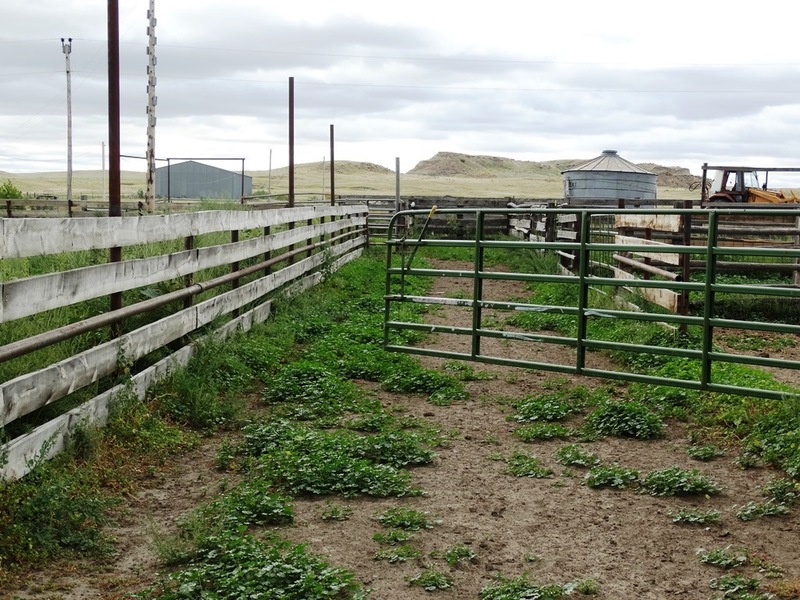 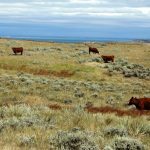 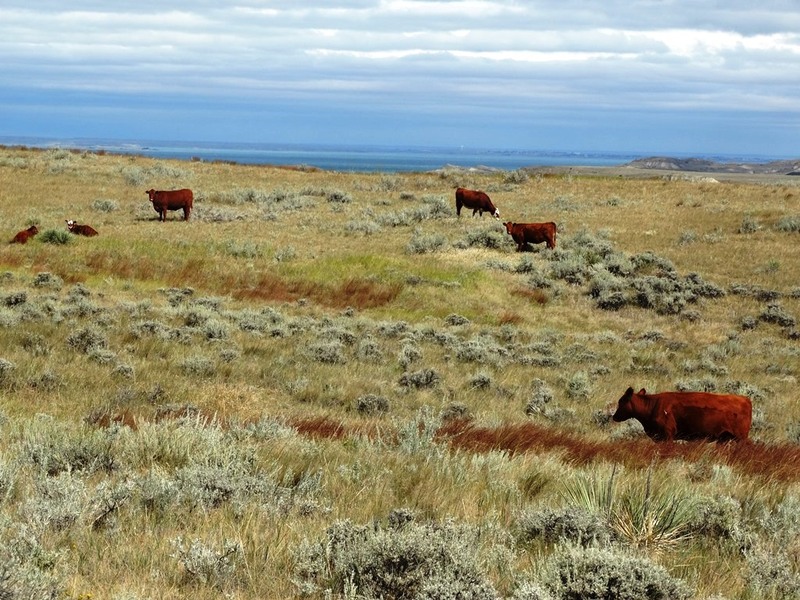 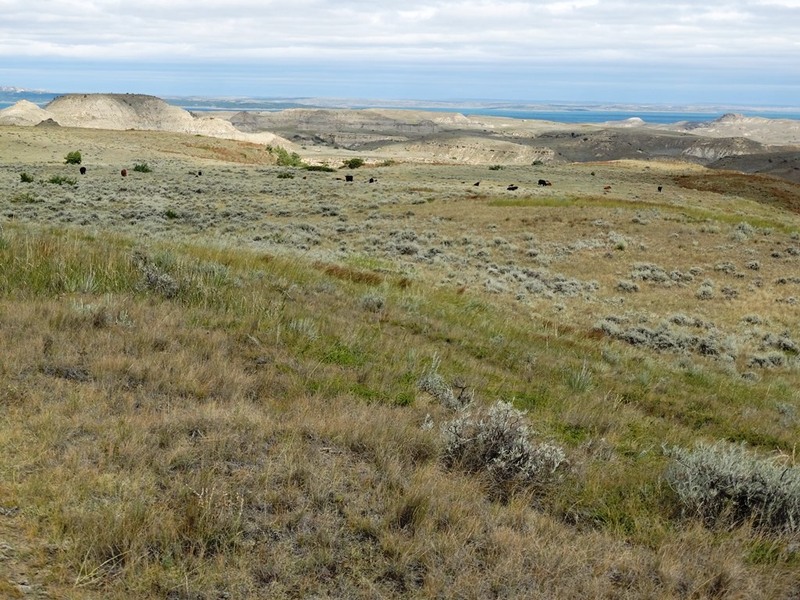 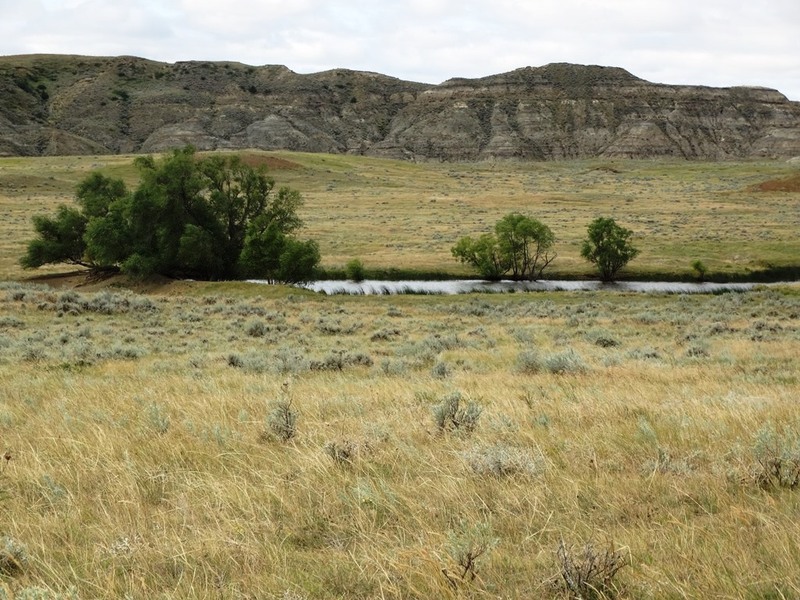 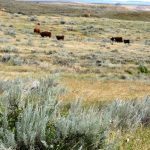 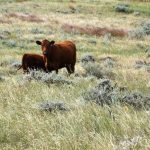 The Two SW Ranch located in Haxby, Montana, is a strong grass Montana ranch – 500 head carry capacity. 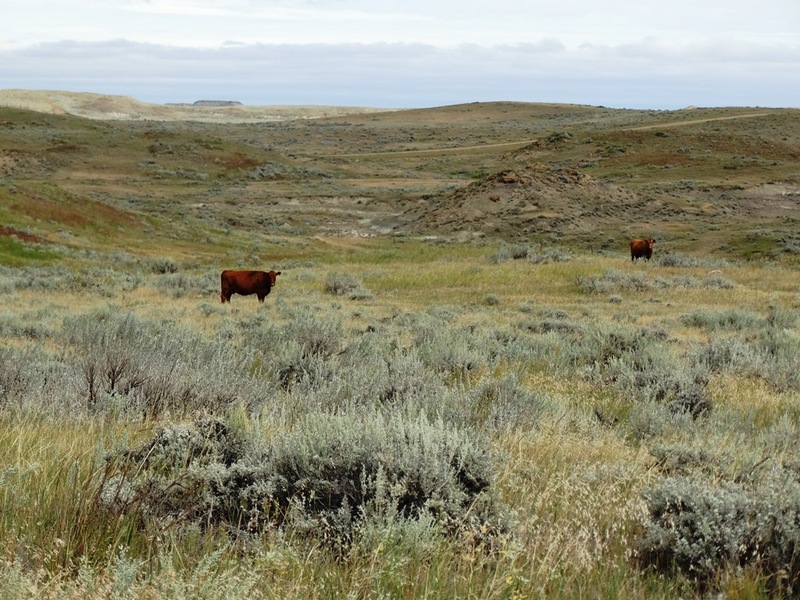 17,823 total acres with 5,973 deeded. 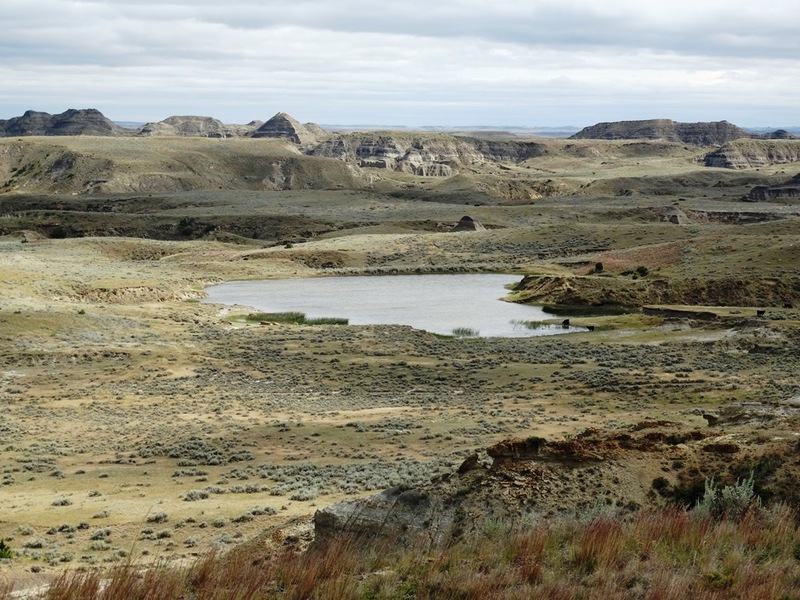 Great water spring fed reservoirs, five wells, and pipelines to the stock tanks. 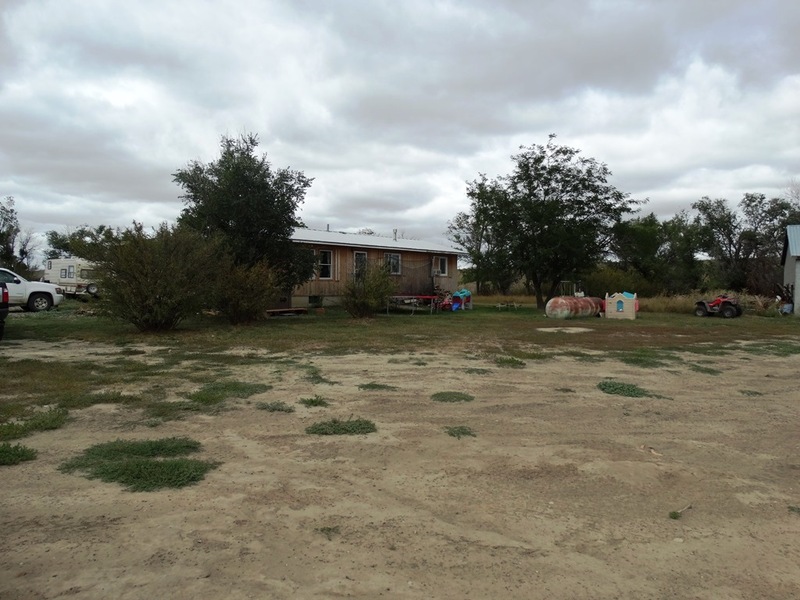 Two modest ranch homes, livestock corrals, numerous outbuildings, and good fences. 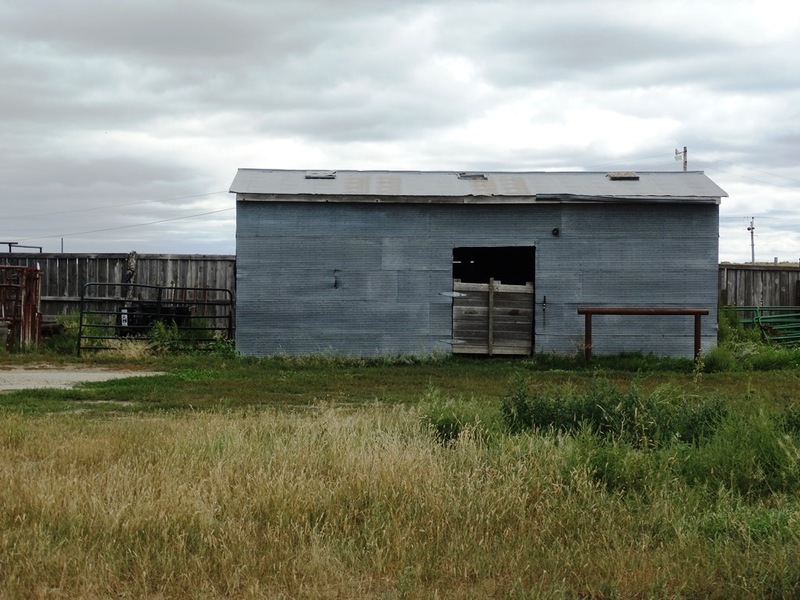 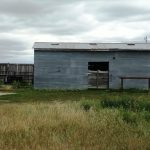 LOCATION: The Two SW Ranch is located in Montana’s least populated area. 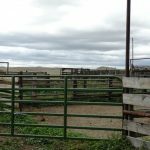 The ranch is located 28 miles northeast of Jordan, Montana, the county seat of Garfield County. 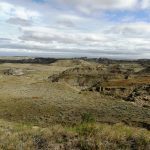 Jordan has a general aviation airport and Billings, Montana’s largest city, is approximately 175 miles southwest has the closest commercial airport. 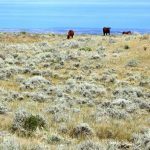 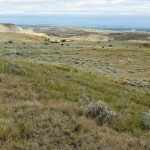 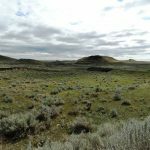 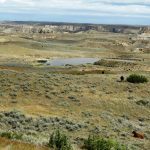 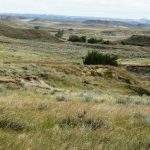 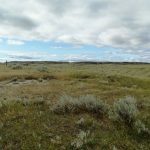 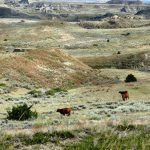 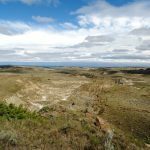 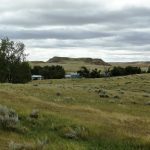 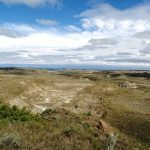 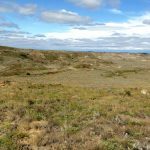 The Two SW Ranch is nestled between the southern borders of the Fort Peck Reservoir between the Missouri River side and the dry arm side of Fort Peck. 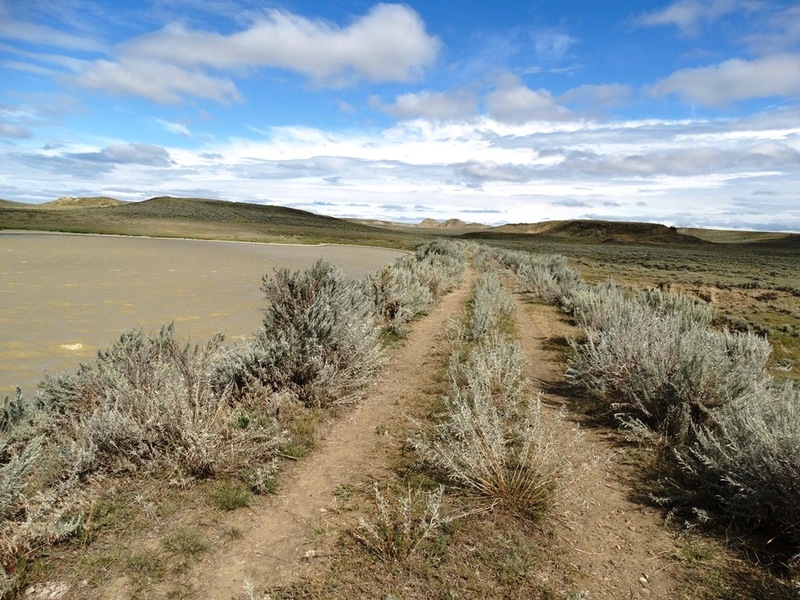 The 1,100,000 acre Charles M. Russell National Wildlife Refuge flanks the East and West side of the ranch. 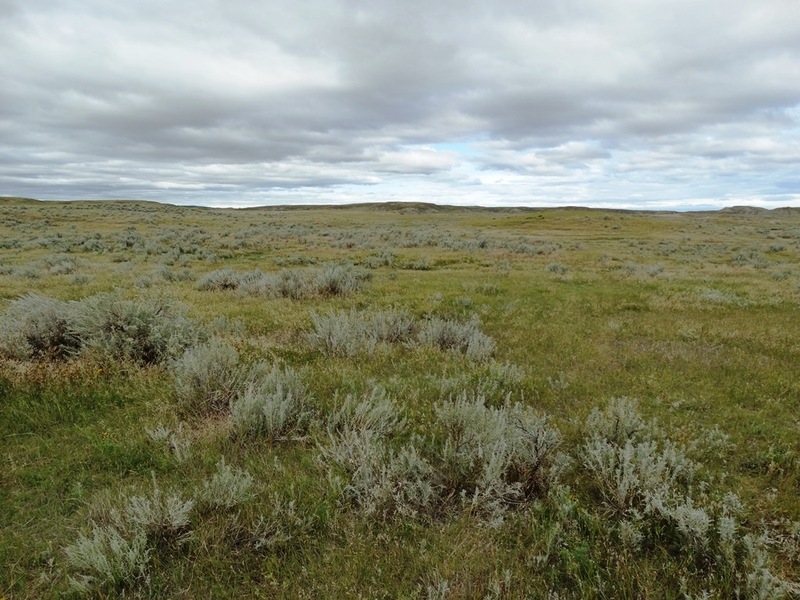 GENERAL DESCRIPTION: The Two SW Ranch is a “Montana Grass Ranch. 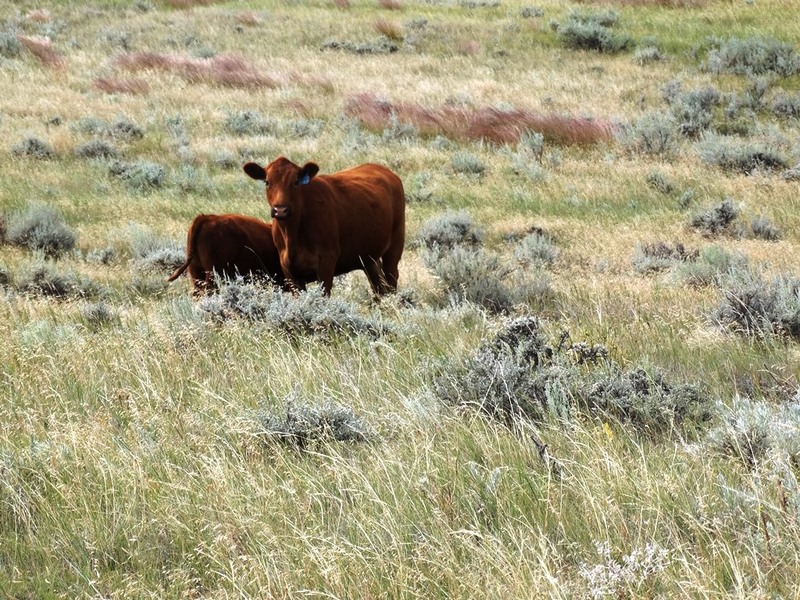 A cowboy outfit with a 500 head average carrying capacity. 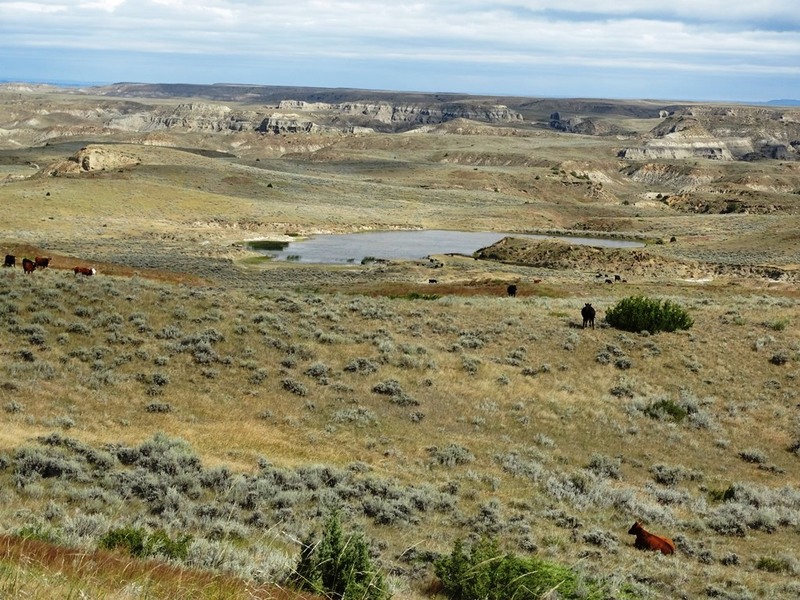 Approximately 17,823 total acres – 5,973 deeded, 9,354 BLM Lease, 1,398 CMR, 1,005 State Lease, and 93 private acres. 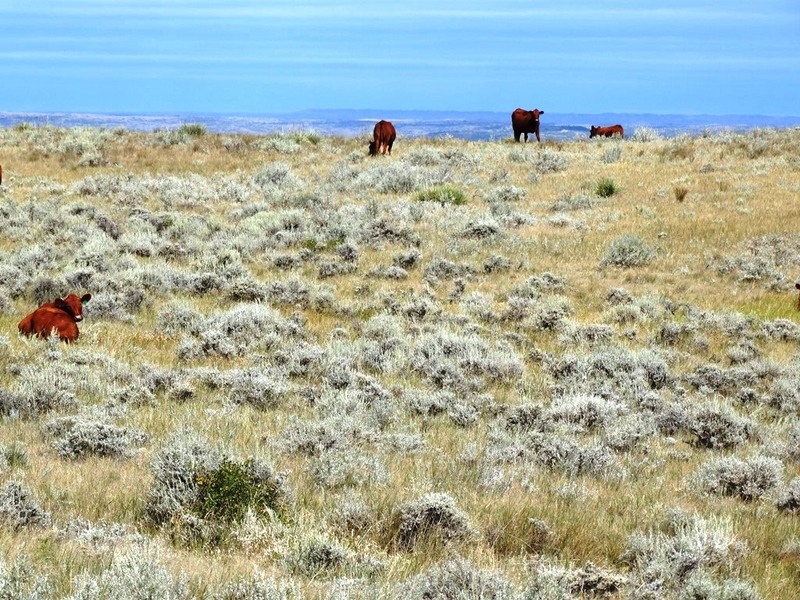 A diverse terrain with gentle rolling hills, high bluff ridge lines, to deep draws. 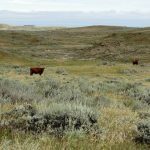 Pastures can be accessed with ATV/side-by-side. 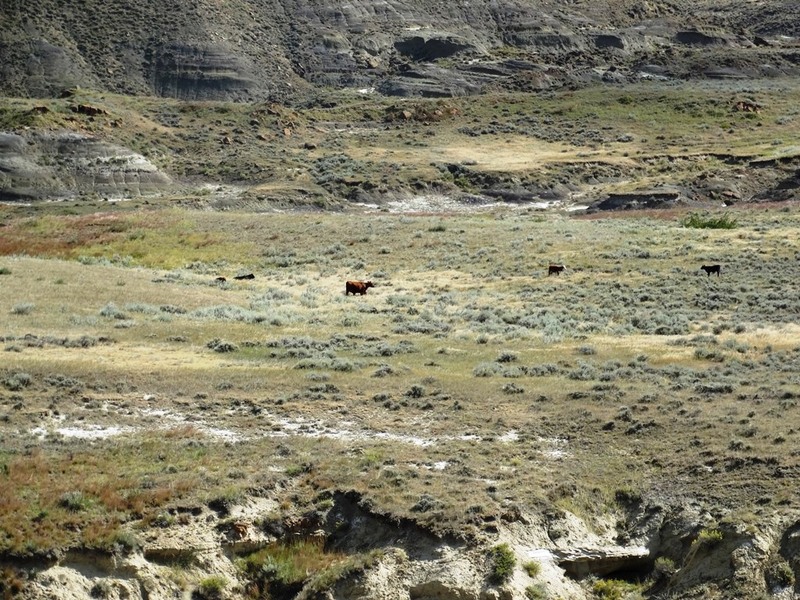 Cow work is done on horseback! 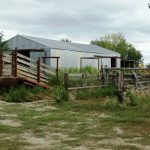 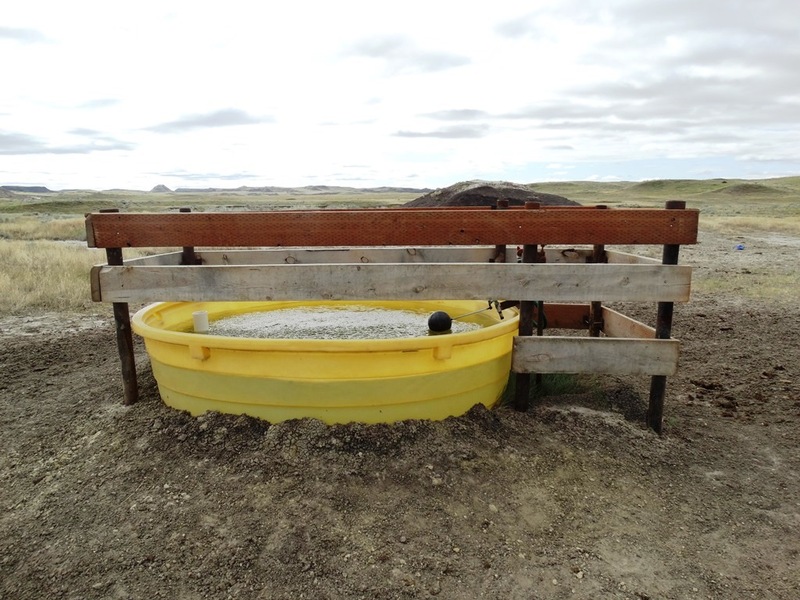 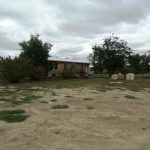 IMPROVEMENTS: The ranch has two modest ranch houses, set of cattle working corrals with water, livestock barn, other lean-to-sheds and storage. 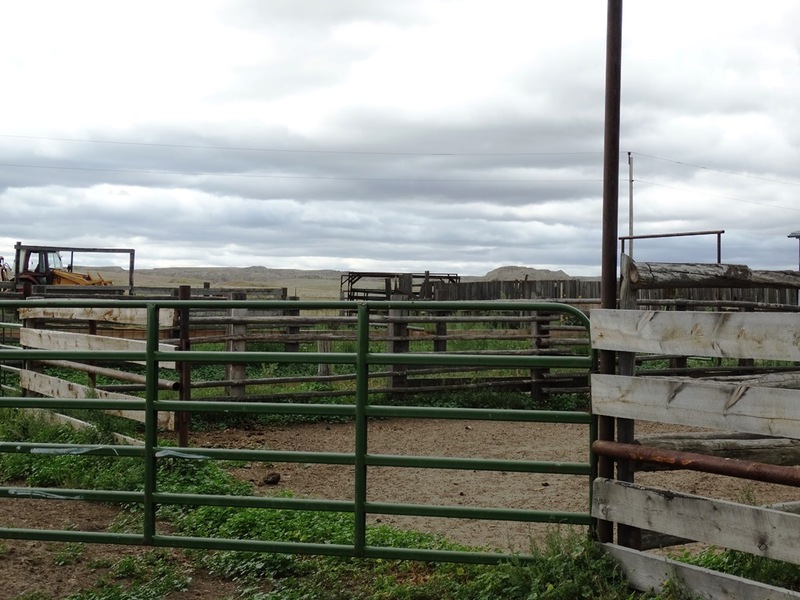 The ranch is fenced and cross fenced in good repair. 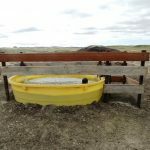 WATER: Five wells with numerous pipelines and stock tanks provide water along with many reservoirs spring fed and also runoff dirt tanks. 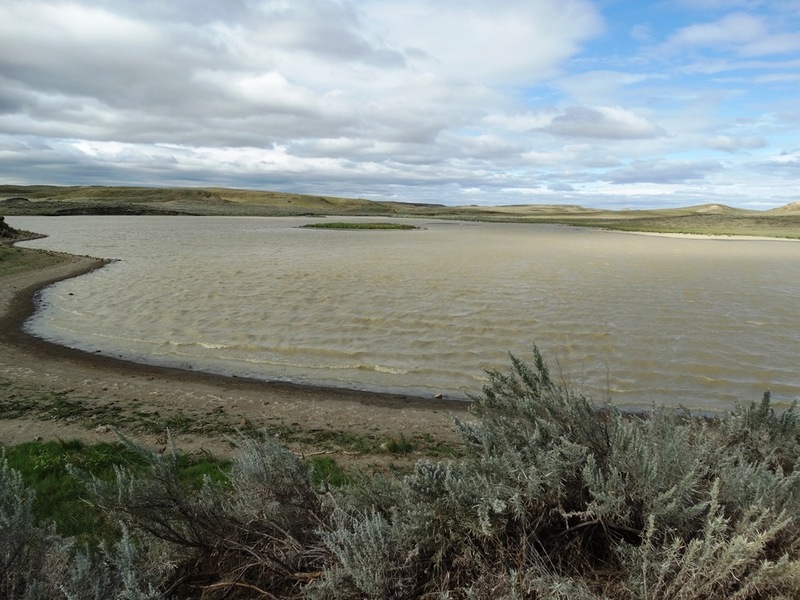 Ground water in this area is more abundant due to the Fork Peck Reservoir. 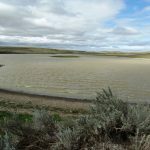 PRECIPATION: 13-15 inches annually. 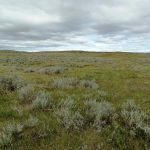 Jordan’s 40 year average is 13.37 inches. 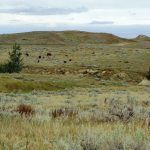 WILDLIFE: This ranch is ideal for the outdoorsman with plenty of room to roam, private access to miles and miles of public land with abundant wildlife. 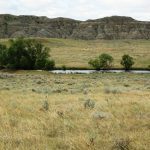 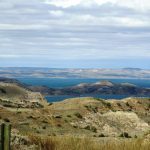 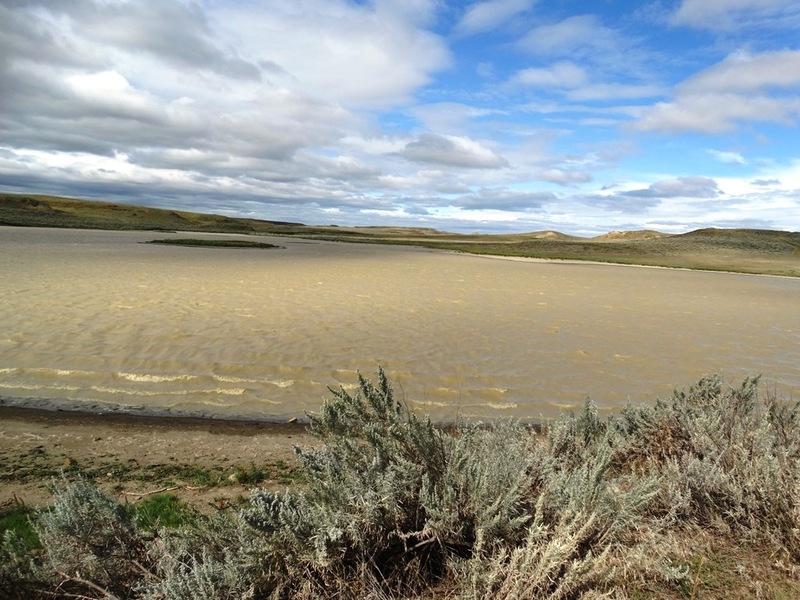 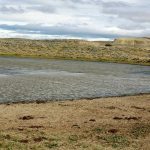 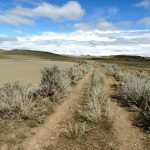 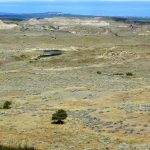 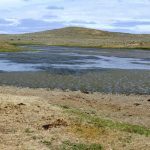 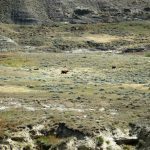 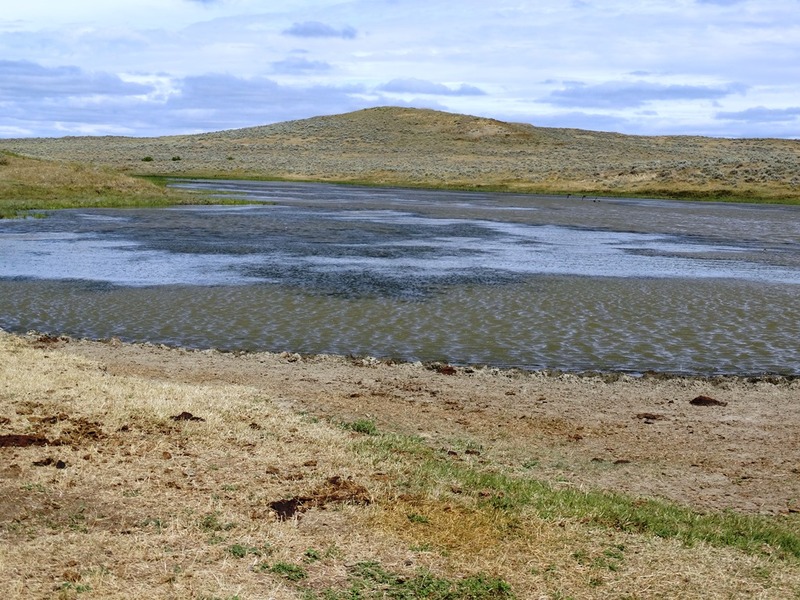 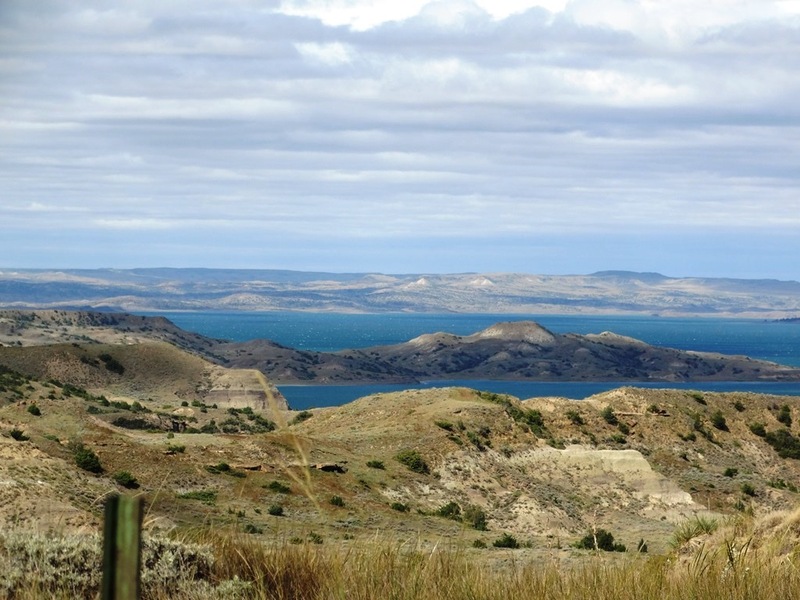 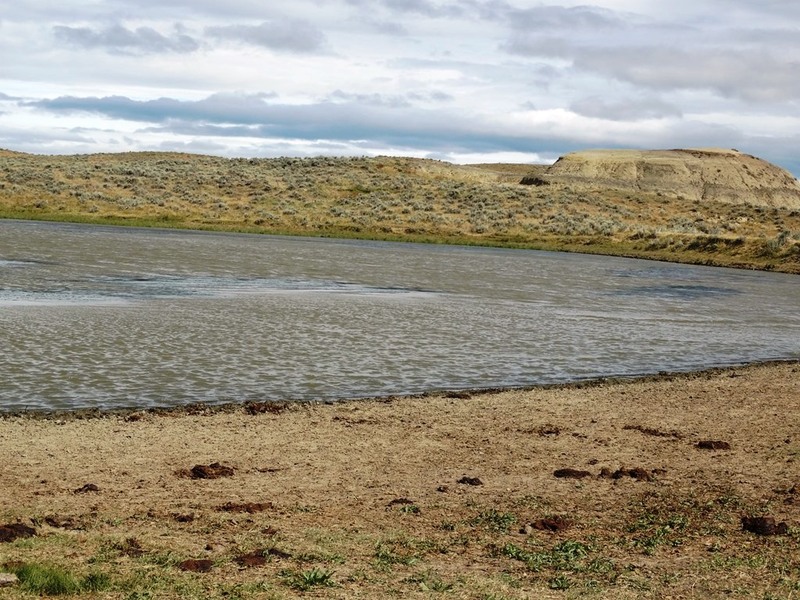 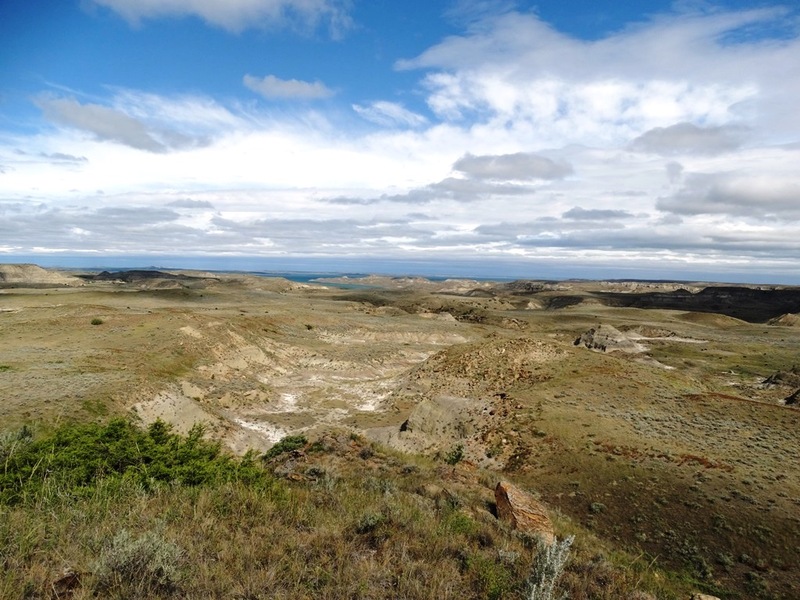 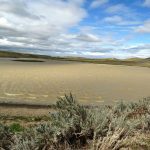 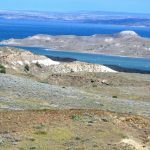 This area is known for the large mule deer bucks, antelope, and the occasional elk, upland game birds, water fowl, and the endless boating and fishing opportunities on Fort Peck. 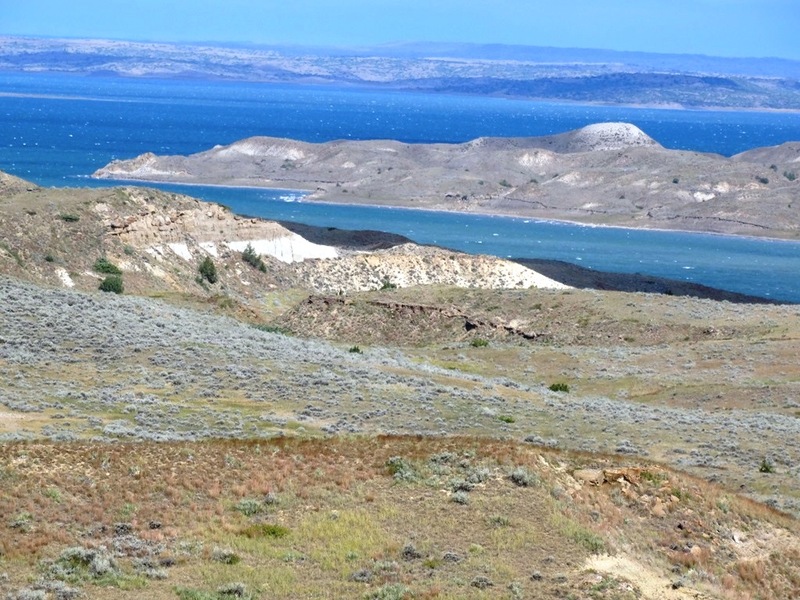 The Fort Peck Reservoir has a twisting turning shoreline made up of over 1,520 miles worth, longer than the shoreline of California. 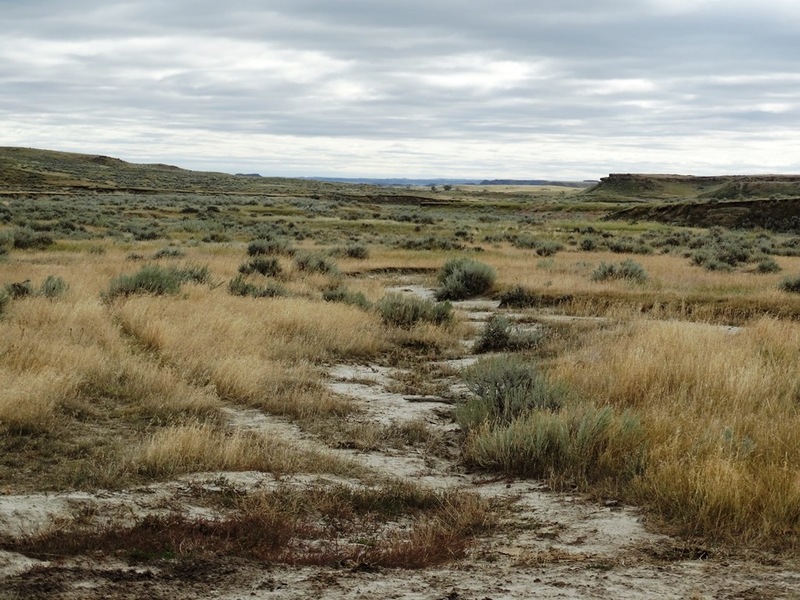 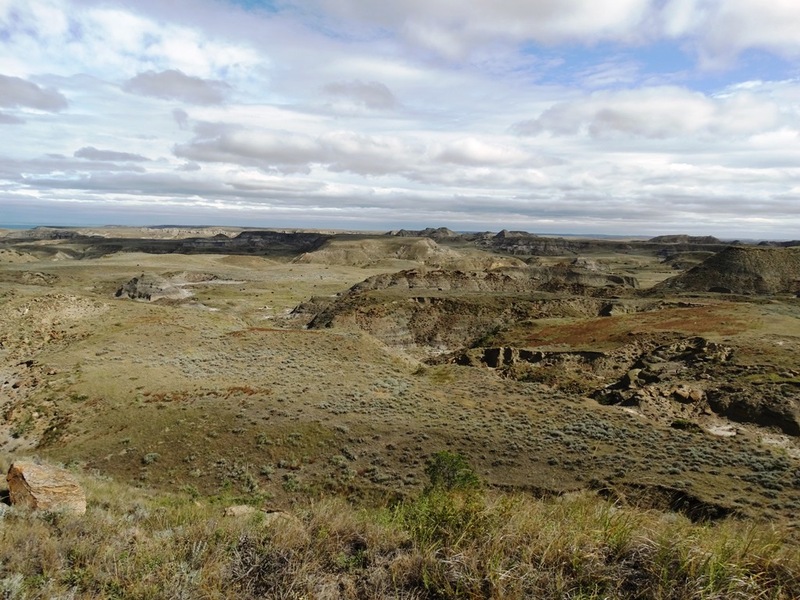 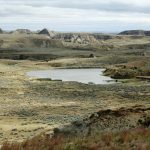 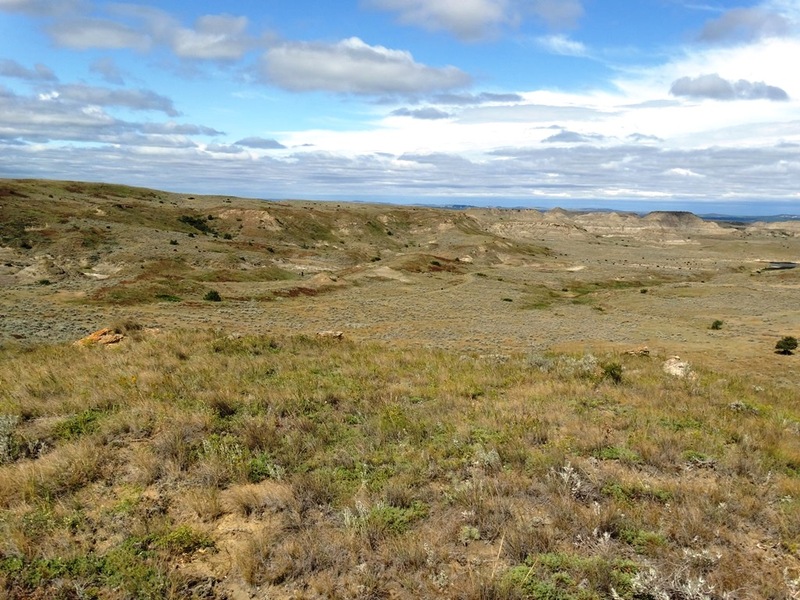 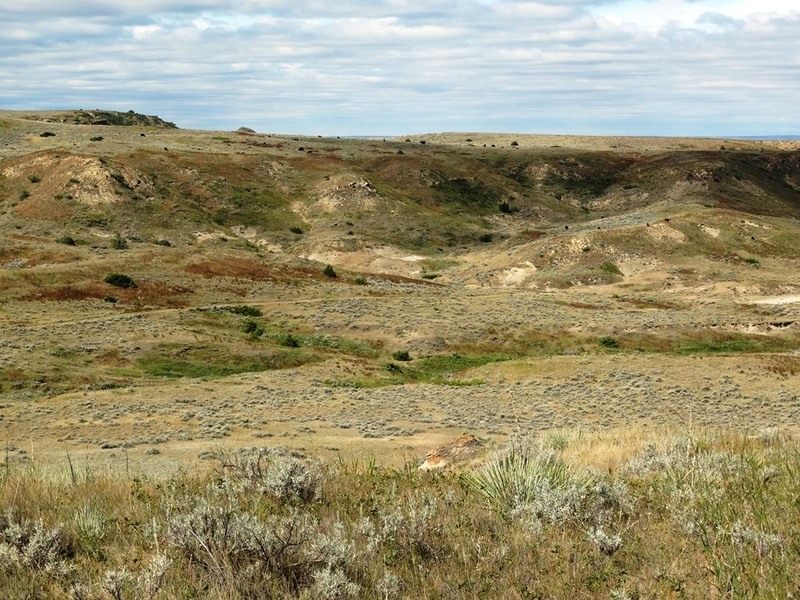 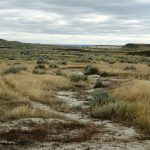 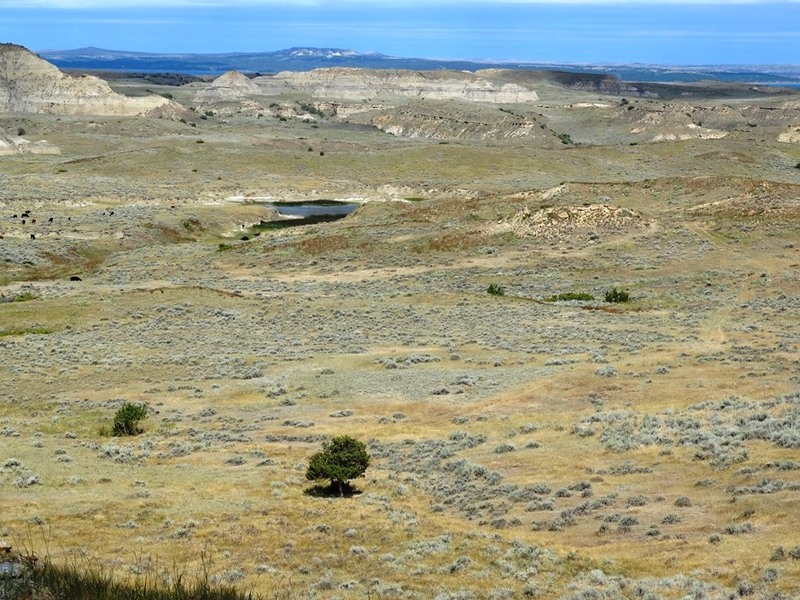 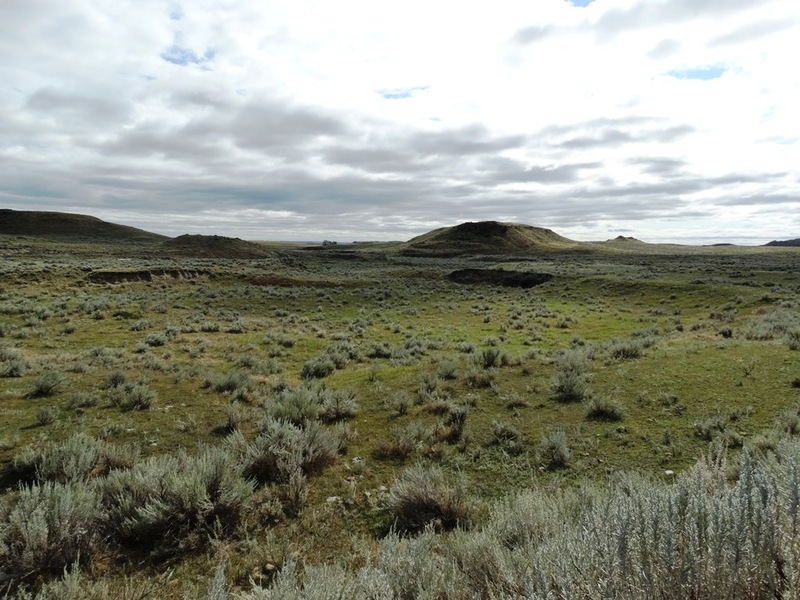 PALEONTOLOGY & ARCHAEOLOGY: The Middle and Upper Hell Creek Geological formation, a vast prehistoric graveyard, is located throughout the vast breaks and badlands. 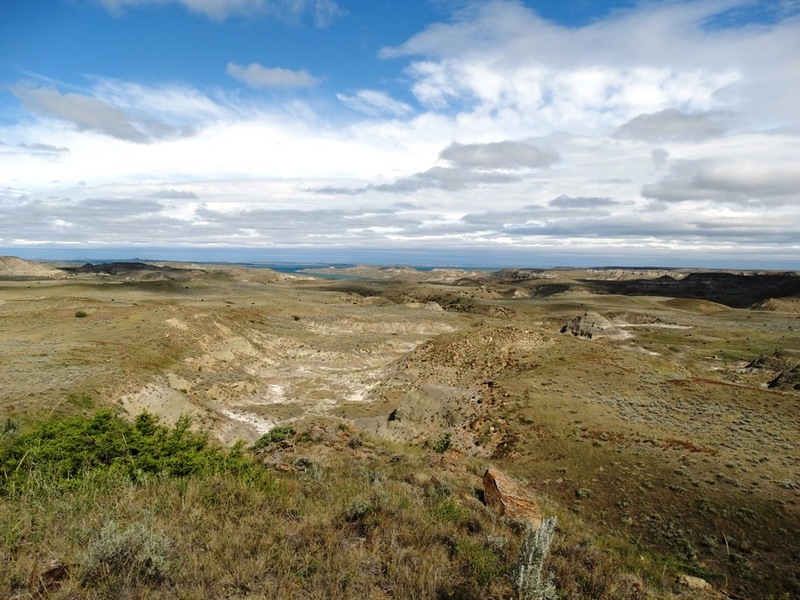 Fossilized dinosaur remains have been unearthed as well as prehistoric plant and sea life. 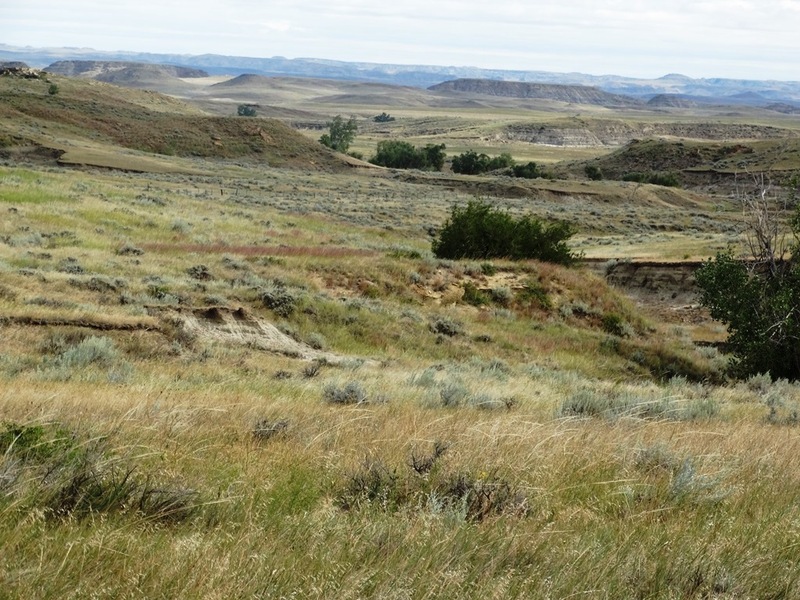 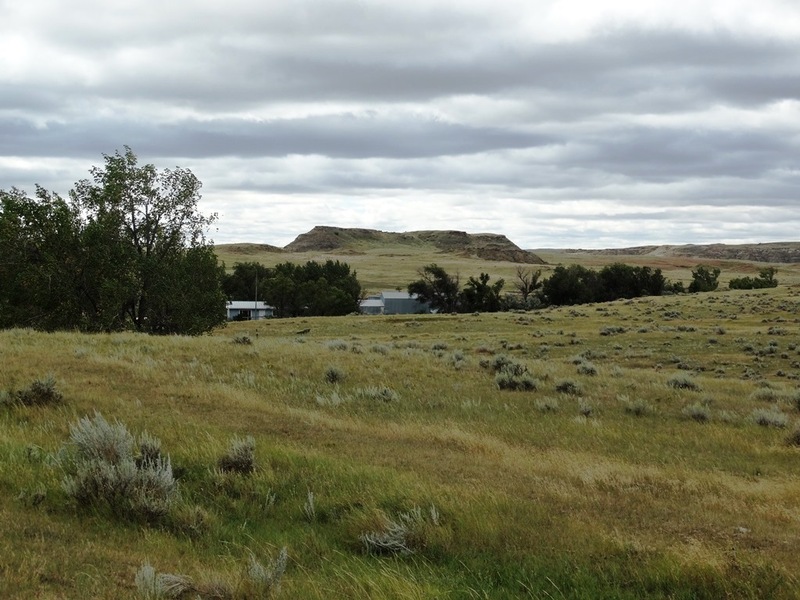 The Hell Creek Formation extends into the property as well as artifacts from the American Indians and the homestead era. 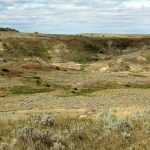 MINERALS: If any, they will transfer. 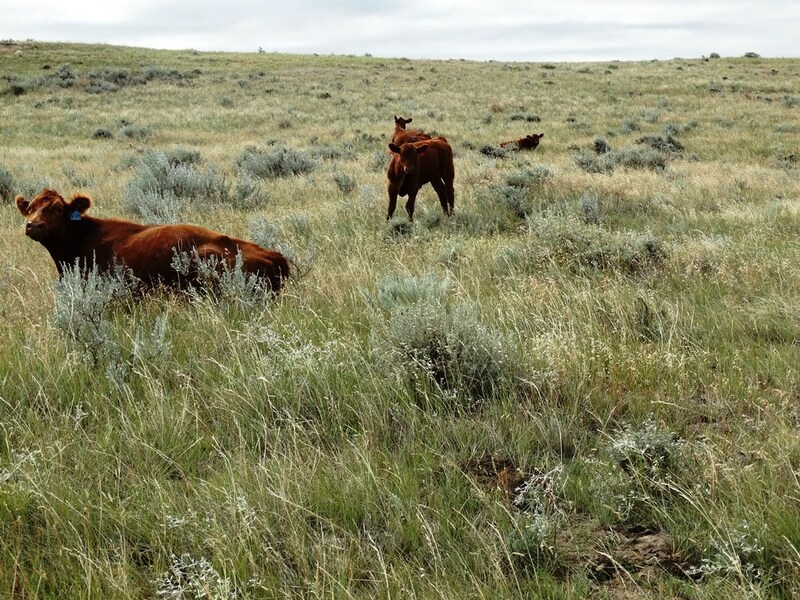 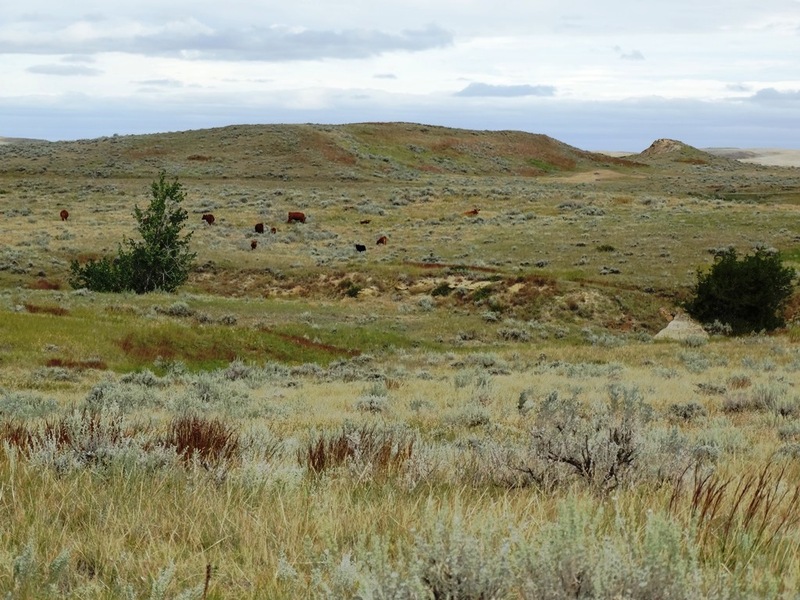 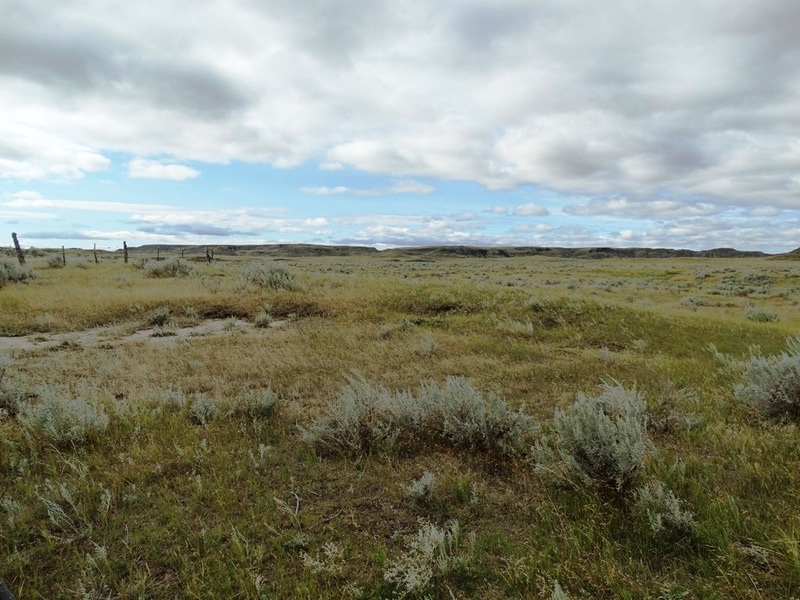 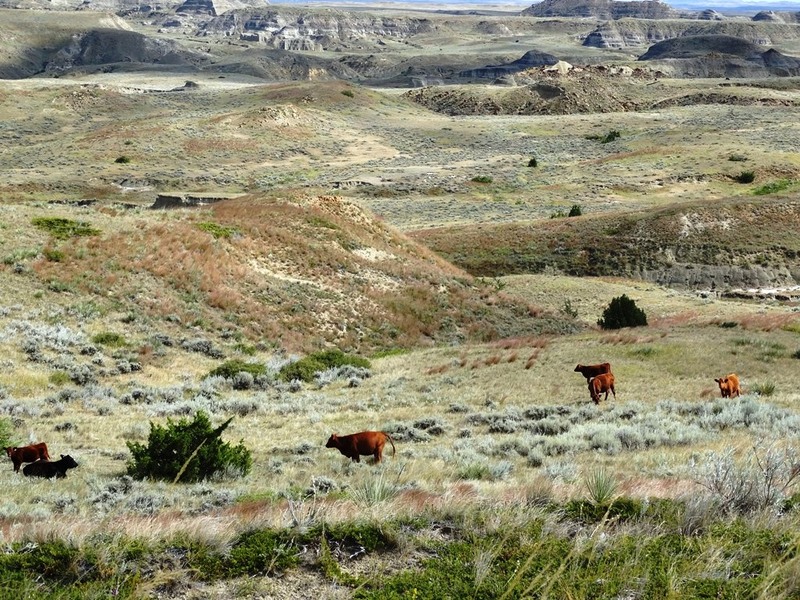 BROKER COMMENTS: The Two SW Ranch is a True Montana Grass Ranch. 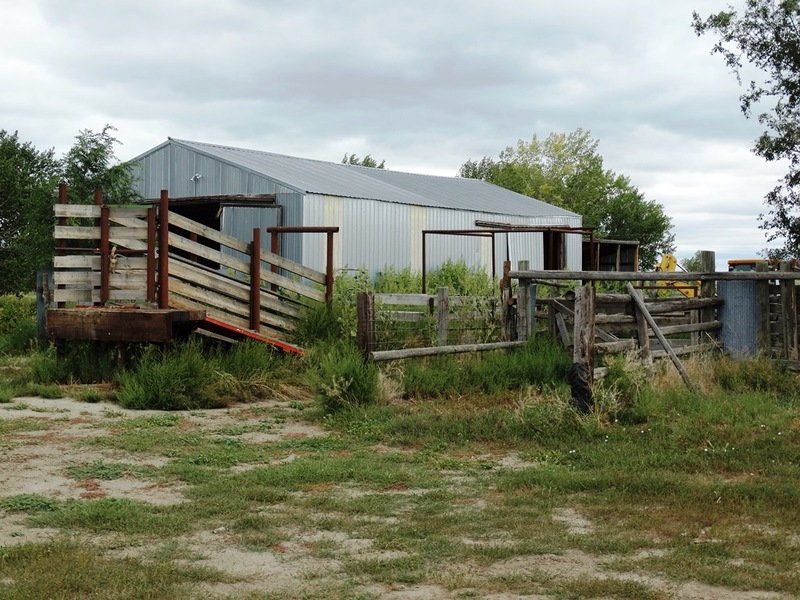 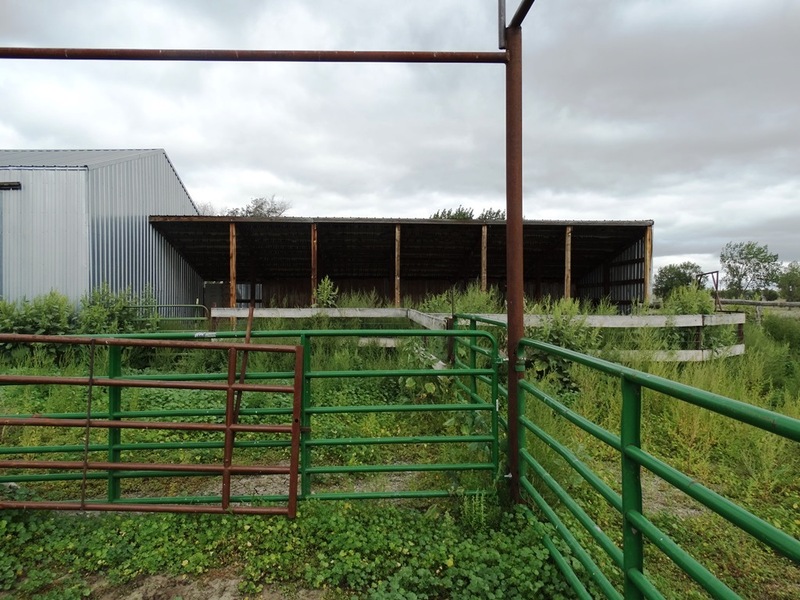 The deeded ground is intermingled with the public ground tying the water and the ranch together. 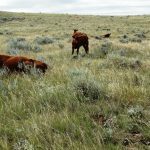 This grass is strong and the calves on this ranch are some of the best range grass calves around. 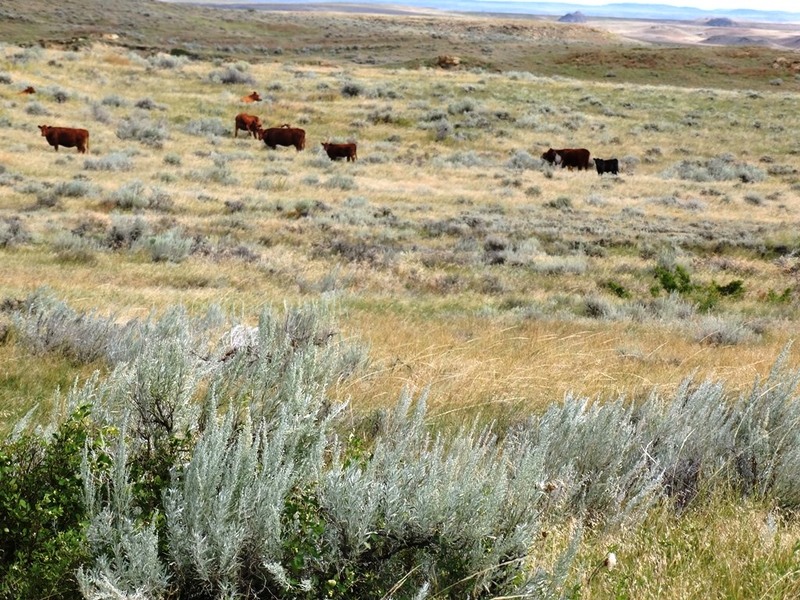 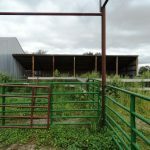 This ranch is what you see, a grass “Cowboy Outfit”.